The richest candidates contesting the Karnataka assembly elections belong to the Congress while BJP has the highest share of candidates with criminal cases against them, according to an analysis. 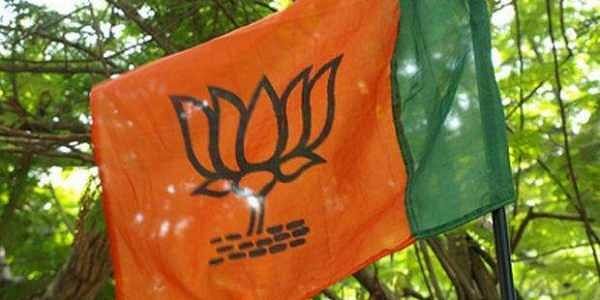 A representational image of BJP flag. BENGALURU: The richest candidates contesting the Karnataka assembly elections belong to the Congress while BJP has the highest share of candidates with criminal cases against them, according to an analysis by the Association for Democratic Reforms.In all, 94% of Congress candidates, including Priya Krishna and Energy Minister D K Shivakumar, top the list of crorepatis while 93% of BJP candidates are crorepatis. Out of the 224 candidates of the BJP and 220 candidates of the Congress analysed by ADR, 83 and 59 persons respectively have criminal cases against them. Out of those, 58 people from the BJP and 32 from the Congress face charges of serious offences including murder, attempt to murder and kidnapping. Out of the 199 candidates of JD(S) analysed by ADR, 41 have criminal cases against them out of which 3 face serious charges. A 154 of 199 candidates of the JD(S) have declared wealth in crores. All of this data has been collected from each candidate’s self-declared affidavits. According to the analysis by ADR, the richest three candidates — Priya Krishna, N Nagaraju and D K Shivakumar--belong to the Congress. Seventeen candidates have declared zero assets. Out of the total number of candidates analysed, 447 have declared wealth of more than `5 crores while 819 have declared assets worth less than `10 lakh. In all, 883 candidates — 35 % of total analysed--are crorepatis. The average assets per candidate contesting in the Karnataka Assembly Elections 2018 is `7.54 crore with 1,090 independent candidates declaring assets worth more than `1 crore. The election watchdog forum has analysed affidavits of 2,560 out of 2,655 candidates contesting the Karnataka assembly elections. In total, 391 candidates have declared criminal cases. Among those who face criminal charges are 37% of 224 BJP candidates, 27% of 220 Congress candidates, 21% out of 199 JD(S) candidates and 19% of 27 AAP candidates. ADR has deemed 56 of the total 224 constituencies as "Red Alert constituencies"- meaning seats where 3 or more contesting candidates have declared criminal cases. The average asset analysis per party puts Congress at the top with above `38 crore followed by the JD(S) with `20 crore and then the BJP with `17 crore. Overall analysis of educational qualifications of the candidates shows that 23 hold doctorates, 239 are postgraduates, 309 hold a professional degree, 410 are graduates while 50 are illiterate. Most candidates- 802- are between the age group of 41-50 while only 1 candidate is below the age of 25. Women candidates constitute only 8% of all candidates contesting the polls. 'Red Alert' list Kolar tops the list of Red Alert constituency with 6 candidates facing criminal charges. BJP, INC and JD(S) all have fielded candidates with criminal cases in Kolar, Ramanagaram and so on. AAP has fielded a candidate with a criminal case in Gulbarga North. Why Indian court allow for elicitation "DEFALLTERS"? All types of analysis would be raised only at the time of election & media too forget it after election.